Welcome to the Kentucky Federation of Republican Women! 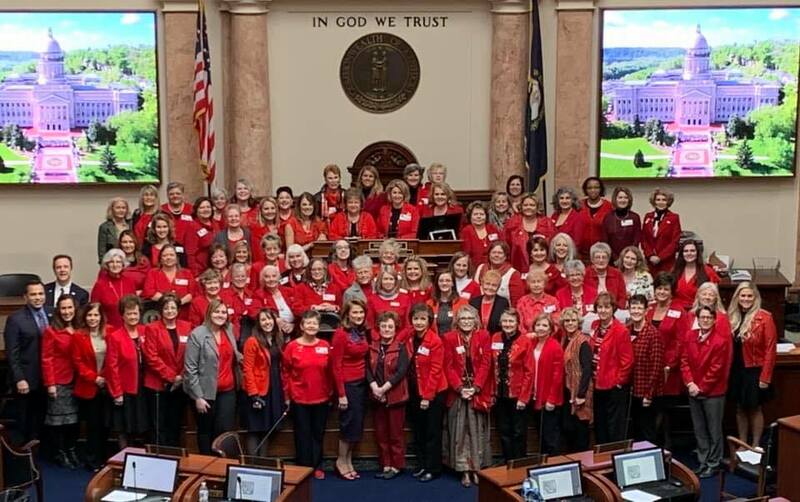 Founded in 1947, the KFRW is a grassroots political organization with hundreds of active members in local clubs across Kentucky, making it one of the largest and most influential women’s political organizations in the state. We as Republican Women have so many opportunities to make a difference in the political landscape across our great state by promoting Republican ideals and values. 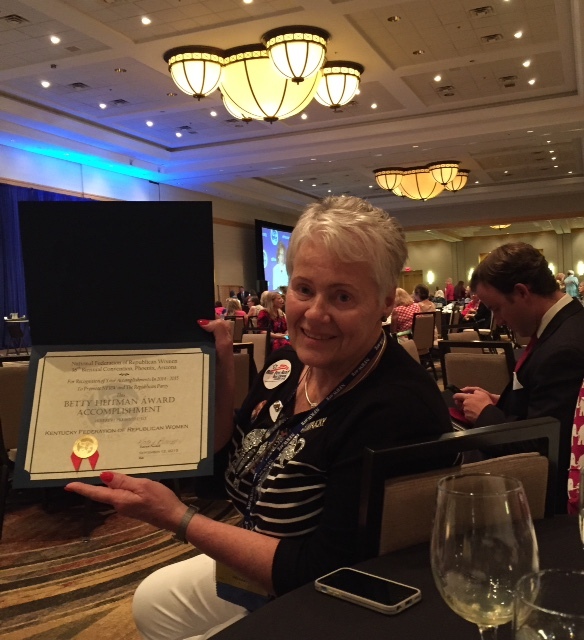 Kentucky wins Achievement Award at NFRW Convention in Phoenix, AZ! So proud of all of our KY clubs! Work for the election of the national Republican Party nominee.